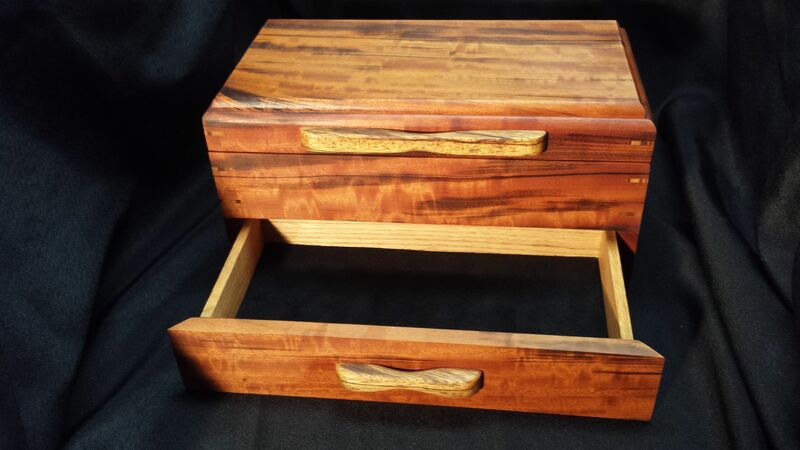 Figured Tiger wood box with zebra wood splines with a handmade lid lift and drawer pull. 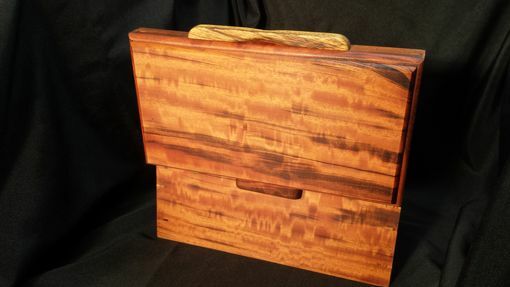 Very cool , rare wood figuring. 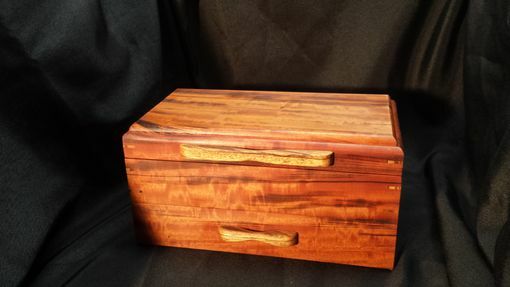 Lined with Western red cedar and black leather. 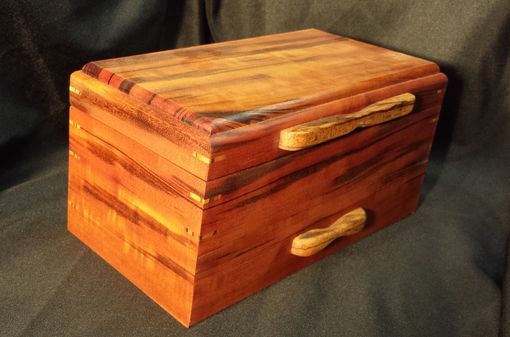 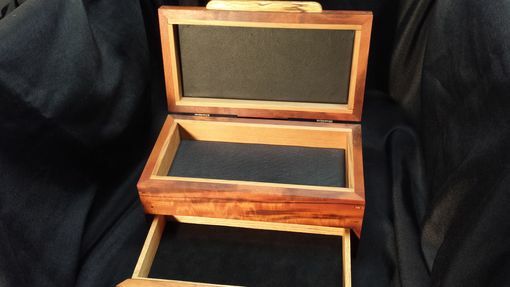 Great for storing cherished items or can be used as a jewelry box.